When a brand truly gets hold of a sports property, you can normally expect action – something seriously experiential. Live sport is living drama and the fans and participants are involved in an emotional dynamic. The biggest advertising gig of the year is the Superbowl, for a reason. This event sells series chicken wings. These ineffective appendages of the world’s most digested poultry sells an estimated 1.3billion fried pieces during a Superbowl. On a smaller scale, but nevertheless bewildering, Lavazza sells some 500,000 coffees from 60 barista service points in two weeks as part of the brands deal with Wimbledon. The brand loves its deal, it has partnered with all four tennis grand slams. At Wimbledon the brand has famously built its experiential credentials by serving the queue with coffee and celebrating barista art. 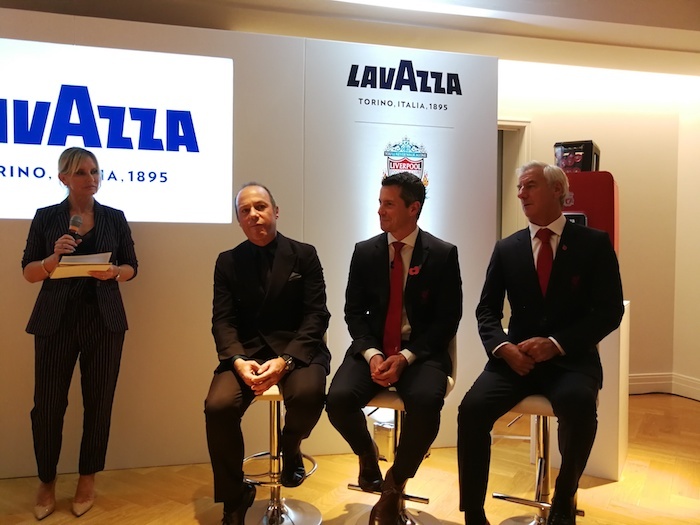 Late in 2018 I was a lucky recipient of an invitation to a Lavazza Premier League exclusive announcement that saw coffee royalty in the shape of Giuseppe and Marco Lavazza chat with football royalty in the shape of Liverpool and Arsenal legends, Ian Rush and Robert Pires. The announcement marked the official link between the brand and those two elite Premier League clubs. Along the way it transpired that black espresso rather than Milhch Eurgh is what Ian Rush actually drinks, a shock to any students of classic TV advertising in the 1980s. Anyhow, the launch gig was masterfully corporate and the plans mentioned for the brand at these two stadia were decidedly, and predictably, executive. The deal mentioned sustainable blends and corporate boxes and everything about the launch event was delightfully poised. We mingled with the coffee magnates and cup winners over delectably curated coffee cocktails. The launch experience and the plans that it outlaid seemed sanitised. Being there, in the midst of the carefully orchestrated event, I was reminded of Luton Town’s 1980’s artificial plastic pitch, offering mud-free action. Whilst Lavazza had decided to be the people’s champion at Wimbledon, and had a stated intention of reaching out to tens of millions of football fans, the carefully worded questions and answers at the launch were skirting away from any such aspirations ‘for the fans’ moments in football. Even at a sanitised Emirates Stadium, fabled home of the fan’s-tastic prawn sandwich, plans seem a little wary of any brave attempt to get into the action, right behind the goal. 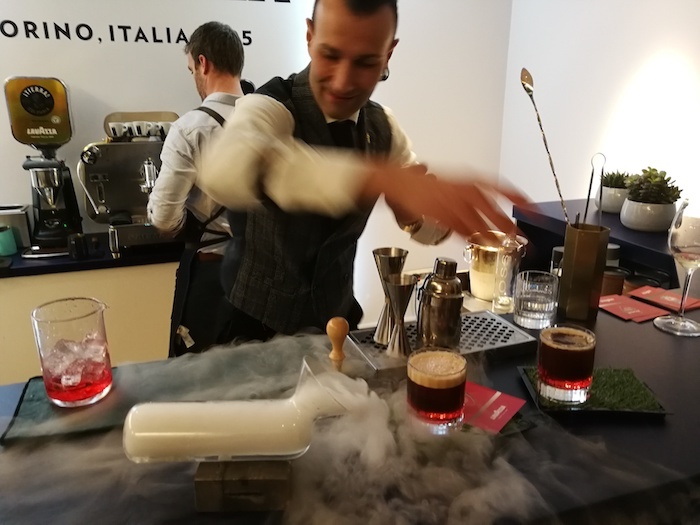 In truth, it is hard to conceive of a fan connected coffee experience, but it is possibly a useful observation to say that if you can be a mould breaker in brand experience marketing. But new ideas are why we might need an agency with ideas and creative insight int the fanbase. If you can look deeper, and set new precedents, then you will take a step ahead of the game, and Lavazza has been ahead of the growth curve for coffee in recent years. I hope that they are doing this. So, I have said the above, without a genius plan for Lavazza to use. But it must be possible for the brand to facilitate some unique experiences for real fans at Liverpool and Arsenal FCs, rather than falling into simply meting out the same old corporate box stuff to people who already expect a tailored executive experience. Our news coverage at fieldmarketing.com, in sport and especially in football, recently has been awash with potential for agencies to help grow sponsorship activation into gutsy life experiences for this market. Everton’s partnership with Italian food business Fratelli Beretta, announced on November 5th, followed hot on Lavazza’a heels, and surely offers the brand opportunities, but again the brands ambitions with its access to the fans of such a historical club, seem very tame. Also, on the same day, again, November 5th, we announced a partnership for Health Assured with the most famous club in non-league football, Salford FC, owned by the star players from Fergie era Utd. This should be intense and energising, a very PRable team, media celebrated owners and a topic that is very on point – men’s mental health. They told fieldmarketing.com: “#NoSubstituteforTalking brings together a joint ambition between Salford City FC and Health Assured to address the issues around men’s health and provide information and guidance on what to do when their mental health suffers. With this in mind, Health Assured is giving all Salford City FC supporters free and instant access to their confidential online and wellbeing portal. So, this was only a month of activity and sadly searching for #NoSubstituteforTalking retrospectively calls up a video with a worthy 208 shares on Twitter, not a disaster, but a look through the shares shows very low levels of actual engagement in spite of Salford CEO David Price’s celebratory tweet where he praised the level of interaction. If the campaign had hoped to spur a debate amongst fans about mental health, I can’t find it under the hashtag. That’s not to say that this campaign was ineffective. Heath Assured will know if it was or wasn’t. But one month of free access to a portal isn’t exactly a game changer, and you would think that once the idea had been conceived, video made and opportunity created, a much bigger ambition could have been realised. Salford FC could really be marking itself as different and progressive with this sort of tie in. The efforts to make fan connections in football are often so lame, it really does need a squad overhaul. I am forced to conclude with an appropriately strained analogy. There are many open goals being missed in football and no need for brands and campaigns to be sent off the field of play before the final whistle. Football is not the only sort which brands are missing opportunities, insight shared by GlobalWebIndex discusses rugby partnerships ahead of this years Six Nations tournament.